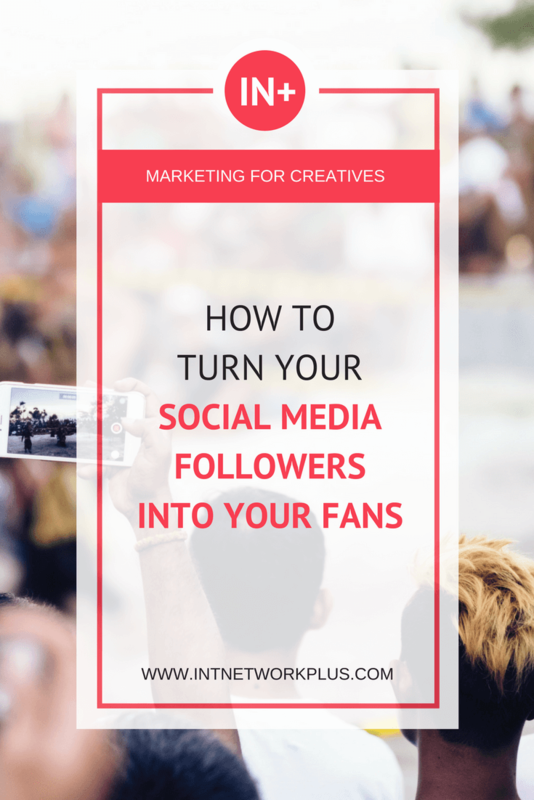 You may have a thousand followers on your social media, ten thousand, hundred thousand or more, but the number doesn’t really matter till you have an engaged community. There is a big difference between having the number of followers that don’t really care about what you do and what you post and the fans of you and your content. 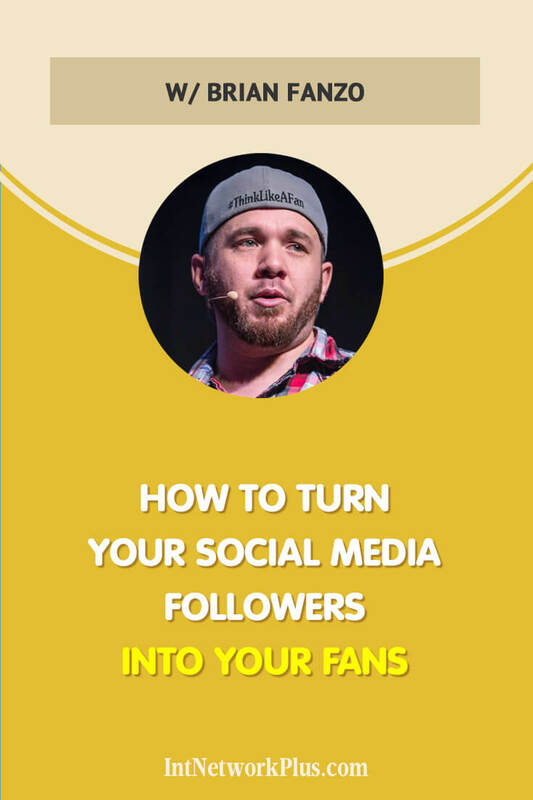 In this episode, Brian Fanzo shares how to turn your social media followers into your fans. 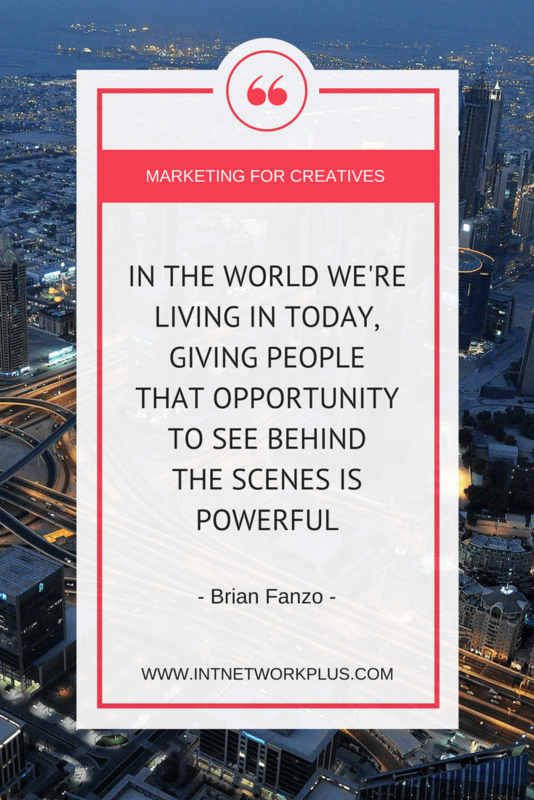 Brian inspires, motivates and educates businesses on how to leverage emerging technologies and digital marketing to stand out from the noise and reach the millennial and generation Z consumers. He has a diverse background working for the Department of Defense in cyber security, then as a technology evangelist at a booming cloud computing startup and is currently the founder of iSocialFanz which has helped launch digital and influencer strategies with the world’s most iconic brands like Dell EMC, Adobe, IBM, UFC, Applebees and SAP. Please share with us your entrepreneurial story. Yeah, I’m excited. I think it’s always fun not only… You know, I host two podcasts, but I think I enjoy being a guest more than hosting podcasts. Excited to be here and kind of share not only what I’ve gone through, but answer any questions you might have. Why do you like to be a guest more? I think it’s because I let someone else decide what… I like to talk. My mom always says I came out of the womb talking. So I think when you’re a host or you want to make the guest look good, when you’re the guest, you kind of allows yourself to have a little bit of freedom to talk about what you want it and go where you want it to go. Please share with us, how did you become a social media guru? I kind of have an interesting path. Probably one that most wouldn’t think that got me here. I actually had a computer science degree. I was really big on the computer side of the house. I worked for the Department of Defense here in the United States for the US government in cybersecurity. I worked in cybersecurity for nine years actually out of college. But I fell in love with collaboration, just the ability to bring people together to work on things. That kind of led me into social business tools like the Yammer and SharePoint. And I really just love the idea of what technology would enable us to do and connect in the world. I traveled around the world at the time. I almost traveled to 45 weeks a year. I’ve been to China once. Only have been to China ones. I’ve been to. I’ve been to Asia a lot. I’ve been to Korea probably 12 or 13 times. I spent a lot of time in the Middle East. But I fell in love with collaboration and then I went and worked for a data center technology company. I really fell in love with this idea of social media allowing collaboration that happened without limitations, like you said, from China to the Washington DC area like we’re doing right now on the podcast. I think for me that’s what I kind of fell in love with. My funny joke is that I do a lot of digital marketing and social media today, but I never really had a full-time job in digital marketing. What my job was really translating what the customers and the clients wanted and bring it back to our product teams, our marketing teams and our sales teams and helping them hopefully solve problems and build community. 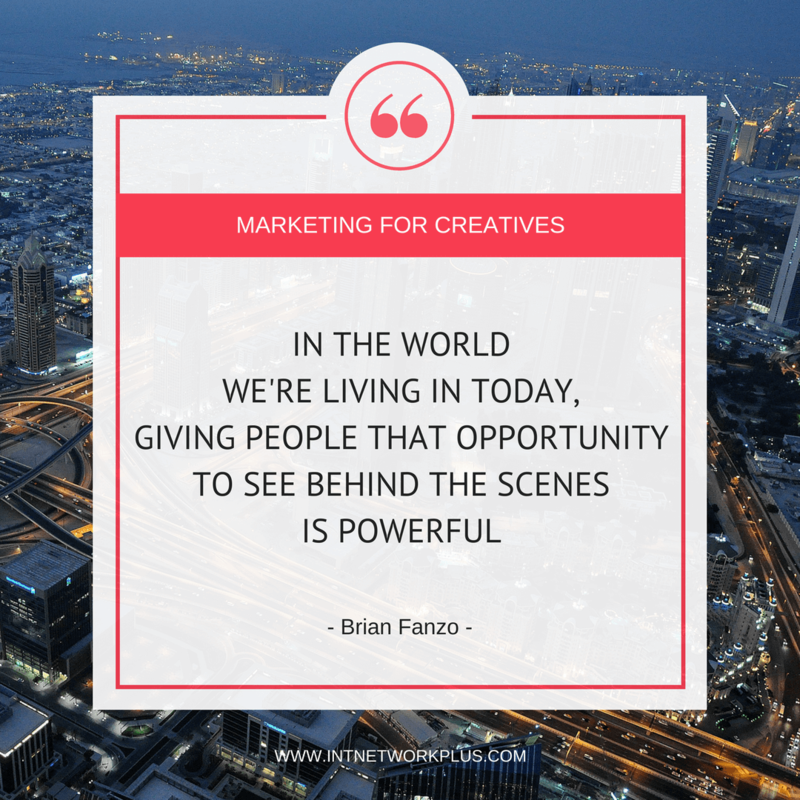 I come in marketing and social media from a unique perspective now. But I’ve been an entrepreneur for a little over four years. I can say weirdly enough for me, I loved my enterprise job when I worked for the cybersecurity. I then worked in a startup and I loved working on my startup. I can say that the hardest job I’ve had hands down is the last four years as an entrepreneur. I don’t regret a minute. There are so many great things that go along with it. But I’m one of those rare ones where it says I wasn’t getting away from a bad job or from working for the man. I actually enjoyed all those jobs. I wanted the ability to reach more people. I really did believe in that. I get to enjoy the ups and downs of entrepreneurship and I’m enjoying the ride so far. But yeah, I definitely not your normal path to what I’m doing now. And my full-time focus now is speaking. I speak on about 40 to 60 events a year traveling around all over the place, all the different kinds of events. And I absolutely love that. My favorite place in the world is on stage. Basically, you grow your followings, you share your love with your followers and you talk to them on the stage or on social media. I was over thinking all these things because I was really trying to share what I thought other people wanted to hear. And I can say since 2013 my personal brand has grown. I’ve been able to foster this amazing community. My secret, when people say, “What’s the one thing that you would credit that?” I use the hashtag #showyoucare. And what that means to me is I cared about other people before I ever asked them to care about me. That’s really the easiest way to foster community. 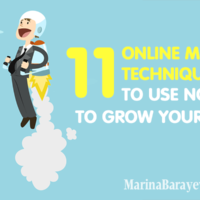 It’s the easiest way to grow an audience. I’m the running example. I had less than probably 4,000 total followers on social media at the time and now I have over a quarter million followers on social. For me, a lot of that just simply had to do with investing in other people and caring about them before I asked them to buy my product or sign up for something that I had. it’s been a heck of a ride and I’m very blessed to have such an amazing community. And this is only the beginning. I hopefully will finish my first book this year and we’ll see what else I kind of dabble into. (Laughter) I’m happy with that. I think part of it also is one of the things I talk about a lot is that social media has opened so many doors for me and really just digital as a whole. I truly do believe we live in the greatest time in history because we are able to connect. You’re on the other side of the world right now and where we’re talking via video and being able to share our stories, get to know each other. Eight years ago, 10 years ago, previous generations, they would have never had this opportunity that we have and I’m very blessed for that. I will happily take the rise up and we’ll see where it goes from here. Yeah. Social media is amazing. Now you have so many followers. What do you think is the difference between just a follower and a social media fan? My mentality and my philosophy think like a fan. And what I mean by that is, well, my last name is being Fanzo. It kind of helped in that, in that philosophy. But I think you, there’s this idea where a follower to me is someone that wants to learn more about you. I think a fan is someone that believes that you can have a conversation with them and you allow them kind of behind the curtain. I’m a big believer in authenticity and transparency. I’ve cried on Snapchat when I lost a big client. I’ve celebrated the huge wins on my Instagram Stories. I went live and asked my audience to help me fix a keynote the night before. I try to highlight the lows as well as the highs. I think the old school I’d say for a while on social media, it was only about the good stuff and it was kind of putting your things out there. But I think we’ve learned that we don’t trust people that claim to be perfect. We don’t trust people that only talk about the highs because we know that it’s much more than that. And I think for me, that’s one of my secret weapons is that I don’t try to be anything I’m not. We were talking just before we went live here and I said, “I’m not afraid to say I don’t know.” If I don’t know something, it’s something to me that I’m not perfect. I’m perfectly OK admitting to not being perfect. A lot of that comes down to allow that to be exposed. So for me, I’m very blessed to turn… and I like to say you can turn a follower into a fan, a fan into an ambassador and when you have people that are your ambassadors that are celebrating your wins for you it’s truly magical. And I don’t care if you have one follower or 100,000 followers. Think about it. For me, this is something that keeps me grounded every day, is that if I have the ability to impact one person’s life every day, who wouldn’t want that opportunity? It’s pretty magical that we can just impact one. Maybe it’s I motivate somebody. Maybe I inspire somebody by my story. Maybe I educate them because they listened to my podcast or they read my blog, but the opportunity to just have one person to impact to me is a responsibility that I’m very blessed to have. By the time I would ask that question, I would have thousands of people come to my aid and I think that’s just a testimonial to the fact of building a community. What content do you share? You said before you shared more only positive things and then you started to share ups and downs in your life. How does it work? As a little vlog? For me, one of the things, this is a great question for me because this is when I started. I hate writing I’m not really good at grammar. I love the talk, was not great at grammar and I started to get into video and I got overwhelmed by video. Video with like YouTube and SEO and editing and all of these things. I started to get really overwhelmed. And I fell in love with podcasting. 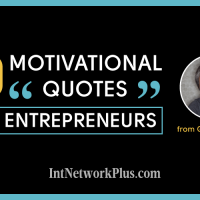 Podcasting to me was that first piece of content that I started to create that became easy. It was simply grab a microphone and start talking and sharing my voice. Then once I got comfortable in podcasting, I started to dabble in live video. And the funny thing about that is I started on Meerkat and then went to Periscope. Then, of course, Facebook live and the apps now. Over the last two years, I’ve done over 2300 live videos myself. It’s interesting because if I would’ve never gotten a podcasting, I probably never would’ve gotten into video. Now what I do is I share content that… my podcast is live recorded on Facebook live so people can watch me on live video. I then put the audio on all the podcast players. Then I take that podcast and I turn it into a blog post on my website. for me, one of my secret weapons is that I think everyone learns differently and I give my community an opportunity to choose where they want my content, how they want my content. 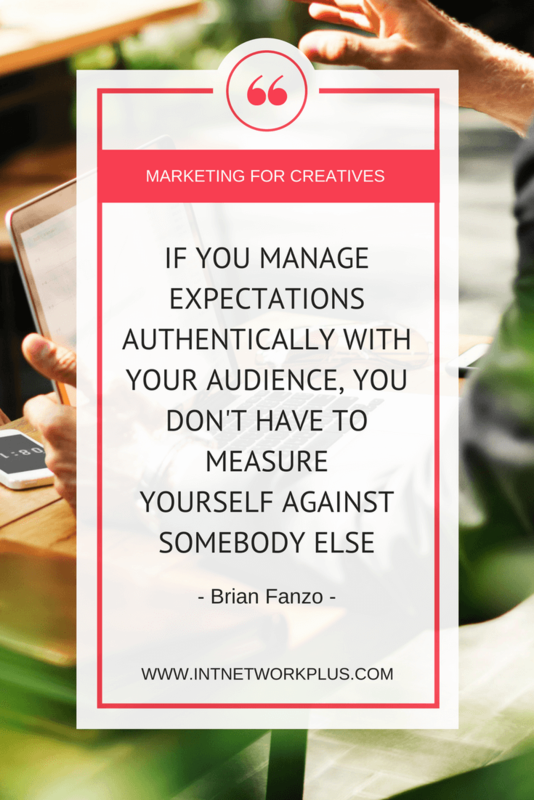 I focus less on creating lots of content, more on creating one great piece of content and then tweaking it and putting it on multiple channels for people to consume how they want to. So you create a piece of content and then you repurpose it on different social media or different platforms, right? Yep. I call it upcycling. Because they used to be called recycling and recycling to me meant you’re taking something that you didn’t like or it was old or trash and I called it upcycling. But really, I’m creating, I’m focusing on less total content and just making sure that that content is really, really good. Then getting it to where everyone is at. If you use the Amazon Echo or Alexa, you can subscribe with one of my skills so you can listen to my podcast through there. That’s where I focus on it. It’s definitely a different approach. Mainly it became one of those things for me that I’m more comfortable creating content in my area of kind of Zen and then reformatting it rather than… if I had a blog twice a week, every single week, I can openly admit it would never happen. I would have struggled to do that. But being able to turn my podcast into a blog and create all these different pieces of content it allowed me to create a lot of content without doing it totally outside of my area of comfort. What pieces do you create? We do audio – podcast. So you can do on podcasts. I do a live video of course. I edit my video itself down, I create the video and I turned that into a YouTube video. Then I take a one minute clip of that podcast, my favorite moment at a clip, and now that’s an Instagram post. Then I take my favorite five or six-minute video, part clip of that and turn it into a LinkedIn post. Then I have those pieces. I transcribed the podcast and then I put it as a blog post on my website. Then usually about a week or two after the podcast episode goes live, I send it to Medium or on to the LinkedIn publisher. Those are the different channels. If you like to listen to me talk and I always talk fast so I always tell people, “Don’t use the speed-up version on your podcasting. I’ll sound like Minnie Mouse” because I talk so fast to begin with. Yeah, exactly. Use the half speed and I’ll be at the normal speed of everyone else. But for me, that’s a big element as I do those pieces of content. But interestingly enough I host two podcasts now. That is another one. I’m actually launching a third show on June first. So these to me it’s an incremental process. But I tried my best to give everybody all these different options. How do you manage all of these? It looks like a lot of work. It’s really about scheduling my content and doing it on my way. I launched a podcast called FOMOFanz, F-O-M-O-F-A-N-Z, or Z at the end, which stands for the fear of missing out. The podcast is a solo podcast where I don’t interview guests because managing a calendar and getting people together, that’s just things that were going to put a roadblock for me to get a podcast out. I created the FOMOFanz podcast because it was kind of a selfish play. I said, “I want a podcast that is just… I only have to worry about myself.” I can record it whenever I want to. I don’t have to rely on anyone else. That’s the secret of mine. Another one is… I just love it. I love what I do. I mean, we’re [9:15] here on a Thursday night and I started this morning around [7:30]-ish. I’m not a morning person. Let’s say I started at [8:00] AM or so. But I’ve loved every minute of the day to day. I created eight videos for my clients, first events that I speak at. I did eight videos this morning. I brainstorm a new funnel that I’m going to launch with my new course. I had three different phone calls with three different brand clients. Somewhere in between there, I got some food. I FaceTimed with my daughters to check on how they were doing for the day and wish them good night. And now back at it. I think for me, this is the piece… you know, entrepreneurship is the hardest job I’ve ever had without question. I make the least amount of money I’ve ever made. It’s the hardest job I’ve ever had. But it’s the job I love. I wake up happy. I go to bed happy and I truly do believe I’m able to make my own little dents in the world. I do probably spend more hours in the day than I should doing a lot of the things I do, but I just love being able to have this opportunity to do that. I will say I’m learning to be a little bit better at outsourcing and bringing people in. But it’s taken me a while. It’s been three years or almost four or over four years. I brought in a virtual assistant. I brought in a team, but then I realized for me it wasn’t the best fit so I had to figure out my own workflow. And the other part of it is I’m really big on calendar driven. I manage my calendar and I also said I know that I’m not good at controlling myself. I set time. When I’m editing my podcast, I set a timer and I only get 20 minutes to edit my podcast. When the timer goes off, I need to be done editing. When I’m creating a graphic for my blog, I give myself eight minutes to create the graphic because I know that I can spend 25 minutes on it. But I don’t need to spend that time. I try to figure out what works best for me and set those limitations using a timer, using my calendar. Then I engage in social with every small pocket of time that I can kind of come up with. What if you didn’t finish the editing? For me I always believe done is better than perfect. And I would say that I believe perfection is a fairy tale. If I haven’t finished it, I’m gonna do my best to pull it together. I also am very transparent with my audience. I’m like, this week on my podcast episode was a delay and I didn’t bring my podcast microphone on the road. I’m very blessed. I have a great community of listeners that will kind of roll with me if it’s not as great or not as polished as other people because they know that’s just kind of is my way of doing things. I think it’s a secret. 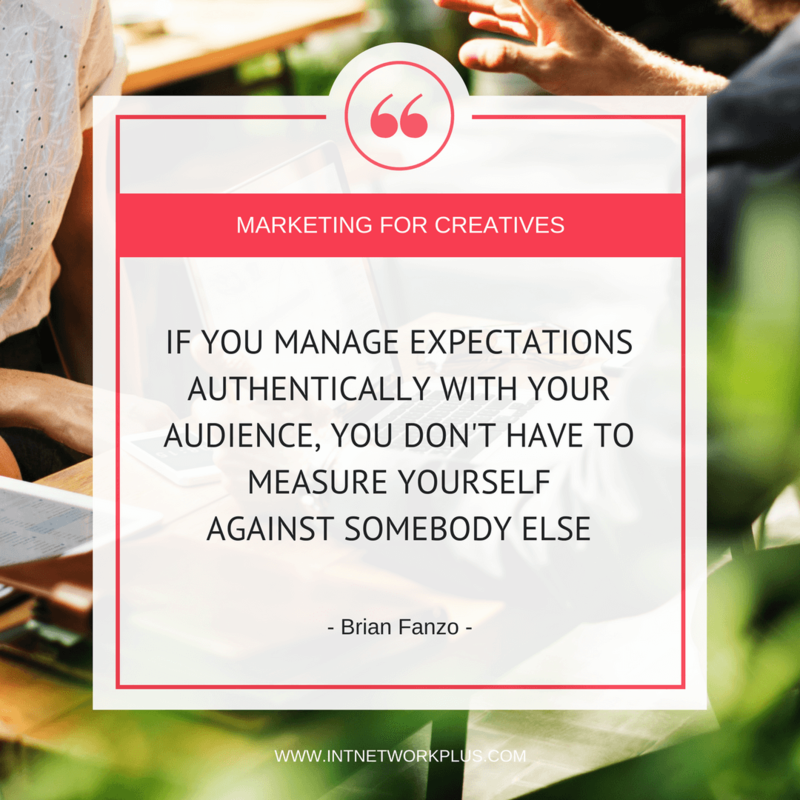 I think for those that are listening, one of the secrets that you can really embrace is that if you manage expectations authentically with your audience, you don’t have to measure yourself against somebody else. My podcast editing, my showreel, everything, even my show notes on my podcast, they might not be as good as all the other people that are amazing podcasters, but as long as it’s getting across what I need for my audience and my audience is finding value in it, I’m OK with that. So I do. I really work hard at managing expectations with my community. That’s fantastic. As you said, you do some videos for your speaking stuff and you share it with your followers. I saw some of your videos on social media. What other stuff do you do to engage with your followers and turn them into the fans? I love documenting my journey. 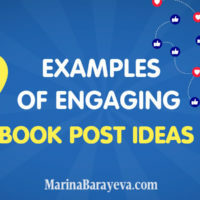 Instagram stories right now is probably… Twitter has always been my favorite platform for reaching people that don’t know who I am, but for people that already are in my sphere or people that know who I am, I’ve fallen in love with Instagram Stories. I share the good and the bad. But I bring people along. I will do Instagram Stories in the morning. I’m going to the airport when I’m backstage. I’m, I also worked with… I even take over a brand account. I was able to take over Oracle’s account last week at an event that I was at. So, I use that I would say the storytelling within apps like Instagram to allow people to come on the journey with me. Then I also upcycle that content. Sometimes I’ll take my clips from there and I’ll put that into a YouTube video or a speaker video. Then the other part is I do spend a lot of time engaging. I’m very proud to say that every single reply on Twitter that’s ever been sent out on my Twitter account, I don’t even know what my number of tweets as… So right now, I’m in 167,000 tweets and I’m proud to say that every one of those replies on that Twitter account has come from me. No one else has ever replied out of my account and it’s because. I do block off time in my day to say, “OK, how am I engaging?” When someone comments on my Instagram posts, I comment back. That’s a big piece of it for me. But I think there’s a difference between creation and documentation. I create podcast content. I create a blog, but I would say every day I document my journey through Instagram Stories. It was Snapchat for a while, but I fell more in love with Instagram Stories than anything else. Now it’s a trend documenting. How can you document when you have 10, 20 seconds, like for stories? What do you do there? I think it’s about continually documenting. Because the thing about documenting as bringing them on a journey, not talking at them. So, my Instagram Stories, very rarely will you see me give a call to action. Very rarely you will see me telling someone else what to do. I’ll be backstage and say, “Hey, come with me that we’re going backstage. I’m on a podcast interview.” For me, it’s that idea of bringing them along with me. Sometimes it’s three Instagram Stories in a row, so it’s 30 seconds. But I think in the world we’re living in today, giving people that opportunity to see behind the scenes is powerful. The other thing I like about Instagram Stories is all of the content when you create it is in the order that you create it. Over the 24 hours. If you’re watching, if you’re not following me on Instagram right now and you’ll get on Instagram and you click on my story, you’re watching the piece of content I created 23 hours and 59 minutes ago, all the way up till now. It doesn’t matter for me, I don’t think of it as telling a story in 10 seconds. I think of it as documenting my story throughout my day. Today I probably did, I’d say eight or nine clips of my day throughout the day. And it simple things like I’m giving away a backpack tomorrow from one of my sponsors. So, I talked about that. Then I showed a little bit of the brainstorming that I was doing. I think that’s why I look at that, that the world we’re living in today where it’s kind of like Netflix. We want content. I use Instagram Stories in that way to bring people along on a journey with me. It’s a heck of a lot of fun on the amount of engagement I get on there and the relationships I’m able to build is pretty amazing. Even if it’s 300 or 400 people watching a story each day I get 30 to 40 of them to comment on a story each day and that just furthers those relationships and allows me to be connected with my community. For those who are not really familiar or got used to those Stories, what would you recommend to share? Because sometimes people share some small pieces, but you talk about showing your life, documenting your life. What would you recommend to share? The word I use is Access. What I mean by that is give them access to things they can’t get anywhere else. If you’re already doing a daily video blog and you have a blogging website, give them access to pieces behind the scenes. You know, you’re in China. Giving people, what is the day in the life of China? How is it different than what we have here? Maybe dealing with time zones, right? Where you have to schedule content. I think that’s the big piece with this kind of content. Because I would say the traditional content is my Instagram feed. When I post once a day, almost every day on Instagram. Just a post. That’s my broadcasting out. The access to who I am. The reason I said I cried on Snapchat is because I’m giving them access to that raw who I am. So when they look at my picture or they see me getting an award or they watch me on stage, they know much more than just me being onstage. They know the trials and tribulations. They know the wins and the losses. And so the word I always use is access. 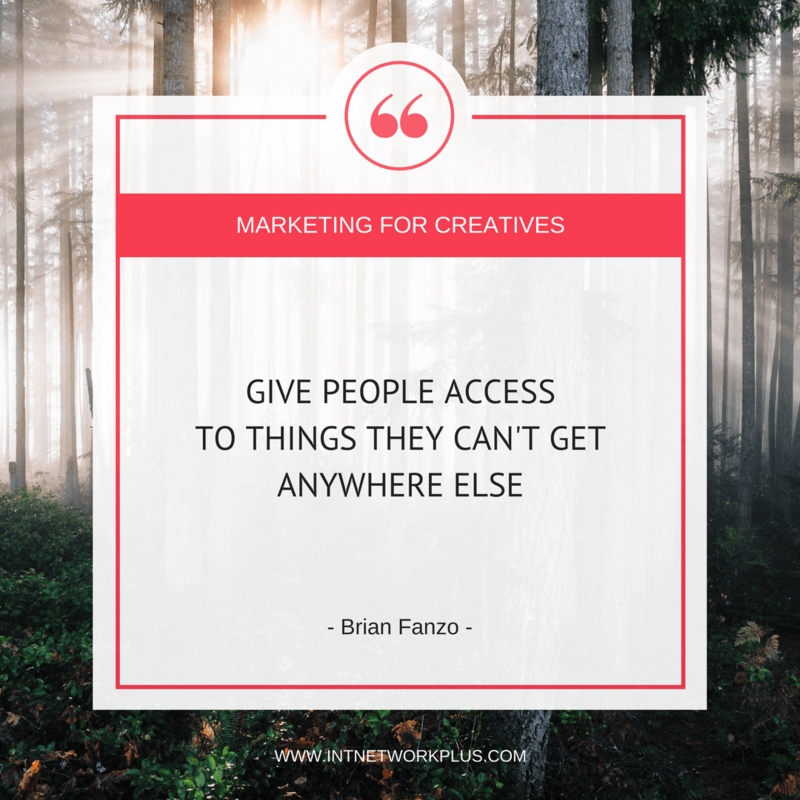 Give people access to products, give people access to places, give people access to experiences that they can’t get anywhere else. And the other piece of it that if you’re still overwhelmed and unsure of what kind of content you should create, the other piece of it is don’t be afraid to celebrate other people. One of the things I love to do is when I’m with friends or with fellow speakers, I grabbed my Instagram Stories and say, “Hey, I’m sitting here with Jay Baer and backstage at this event,” which is what I did last week. I’m giving people access to not only me, but I’m giving people access to people that I support, that people are, that I’m aligned with. 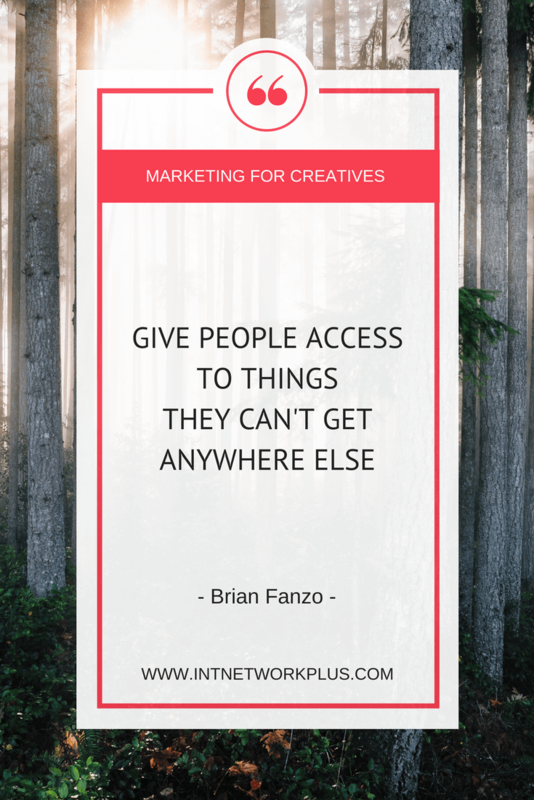 That’s my secret weapon as I always think about it and say what access can I give my community on Instagram Stories that they can’t get anywhere else. How do your followers engage with you? I saw the Instagram post of one of the Russian marketers. He noticed when he does a launch of the product, those people who do not ‘like’, who didn’t comment on his post, they usually buy. And those who usually leave a lot of likes and comments and engage with him, they do not buy, but usually, ask about free stuff. What is your point on that? I think that’s delicate in your balance. Because I don’t really sell at any one. For me, this is how I look at it, is that I give as much value as I can to everyone that follows me. If I’m providing so much value and creating these relationships that when I have something to sell, like when I launched my first book, I’m very confident that everybody that I’ve commented back with, everyone I’ve liked with, will buy my first book because they’ve known that I’ve been giving years of free content. My podcasts is not monetized. I don’t ask. I don’t even ask for sign-ups. I don’t even have people sign up for my email list. None of my content is gated. And part of that for me is that ability for me to be authentic and real is I want to give them as much as I can. But it really depends on how you build your content. Some people are amazing at only giving a call-to-action type content and those people buy from them. They put them into a funnel. All of a sudden, they sign up, they download, they “OK, hey, just give me pay for shipping and handling and then you get one thing.” Then once they’re used to buying from you, they can buy a second thing or a third thing. I come at it from a different point of view. I believe if you invest in your community and you’ve fostered out a community when you do have something to sell a value to them, it’s going to be worthwhile. We often say like, “Well, how are you monetizing your community?” For me, that’s an element of monetizing that doesn’t cost them any money and technically it doesn’t cost me any money. It’s this idea of truly giving. And because I give so much that they became my advocate. Like I said, I turned a follower into a fan, a fan into an advocate or an ambassador. Then they become my salespeople. They ended up doing the call to actions and it’s amazing. And I was like, wow! To me, that was because for a year I gave them value. I inspired them to come see me speak. They saw me speak and now they want to work with me more. And that’s the answer to that question. For me, it’s those kinds of examples that continue to inspire me to give away free content, for me to give people access to everything I’m doing. Because each one of those is just another kind of one of those bumps that I need to continue doing it the way that I do it. Now you have a lot of followers already, you have people who encourage you, invite you to come and speak there, but what about when you started several years ago? How did it work for you to grow this community? It was that ‘show you care’ element, but it was also really celebrating other people’s success. When someone would launch a new book. I remember Gary Vaynerchuk, Gary being huge and someone I followed. I supported a ton of stuff that Gary was doing and I was all, you know, anytime Gary had something I was celebrating it. But I was adding my own take. And that’s a big piece. That’s to me is how they do it. Because everyone can email Gary. Everyone can tweet to Gary and say, “Hey, retweet me or come see me or brag about who I am.” But if you celebrate someone else’s success, if you align yourself with people that you want to align yourself with, it’s funny how they’ll come to you and ask for it. I would say some of the people that I was the biggest fans, I have books that are, I don’t know if we can see it on video here, but I have books that are over my shoulder. But you know, Gary Vaynerchuk was one of them. Jay Baer. Jay Baer wrote a book called a Youtility. It’s Youtility with a Y. I didn’t even know what content marketing really was. And I read that book and all of a sudden said, “I love content marketing.” And I wanna turn myself into a Youtility. Jay was an author that I looked up to. I started messaging with him. I happened to go to the event. He actually took me out to dinner. We went out to dinner. I can now call him one of my close friends that have gotten me speaking gigs. I get to travel the world and share the stage that many of the same events that he did. All of that started by me celebrating him. Me getting on his radar, not because it was about me, but because I was a big fan of his and he turned me from a fan to an advocate and then because I became an advocate and he respected my experience that we kind of move the needle for it. That’s because it’s that power of social. It’s giving. It’s connecting and kind of finding your people. I will say I spend a lot of time building relationships and I don’t look for a relationship to pay off today. I don’t look forward to paying off tomorrow. I don’t need something out of the relationship. I believe that that long-term benefit for both of us will get there. That’s why I say like social media for me when you hear people talk about the good and bad of social media, I am the example that social media has changed my business life, my personal life. It’s allowed and enabled me to do what I do. But I will also argue I’ve spent a lot of time investing in people and in the platforms to do it. It’s just like everything. I think for every entrepreneur who’s out there, the amount of time you invest in something is the amount of output you get of results. If you’re not going to spend the time on Facebook or you’re not going to spend the time on Instagram and then you’re going to claim Instagram’s not working for you, I would often argue, well, you didn’t spend enough time there. Or you’re spending time in the wrong places. Or maybe your audience isn’t there, but you don’t know those things until you actually spend that time. 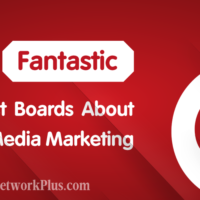 You say that you usually use social media when, for example, brand asks you to promote something or whatever. Do you have the email base? You say you don’t ask people to subscribe to your email list. How does this work? I have a very small email list. I’d say in comparison to a lot of people. I do have an email list on my website that I do use, but I don’t have any opt-in. There’s no download a white paper to get onto my email list. It just simply says if you want to stay up to date with what I have going on, sign up for my email list. But for me, it’s this ability when you engage and you’re a part of the community. I’ve done well over 150 podcast interviews as a guest. I’ve podcasts hosted almost now a little over 350 episodes myself as a host between my two shows. I’ve gone to events and I’ve supported other people for things that are going on. Usually, the inbound comes to me through, you know, if you connect with me on Twitter and you messaged me on Twitter DM I’ll engage with you there. If you follow me on Instagram and you message me on Instagram DM, I’ll message you there. LinkedIn has been probably one of my most beneficial networks over the last 12 months. I’ve got more business that closed from a financial perspective on LinkedIn than any other platform. That’s people that connect with me on LinkedIn and they say, “Brian, I don’t know what you do everywhere else. I’ve found your podcast or somebody recommended you.” Then we build that relationship. For me, people connect with me on the platform that they discover me. I put the onus on myself that says if they discover me on one of these platforms and they engage, I better engage back with them there. It’s funny enough, the majority of it might end on an email back and forth with somebody. But the initial connection is usually on the platform that I’m engaging. And I’m on just about every platform that exists. But I do have my website. I get some really good traffic on there. I do post a blog every single week on there. I do get a lot of inbound through my website. My problem with email is I hate email myself. My email inbox gives me heartburn every single time I have to open my email. I struggle to have to trick people into signing up for an email list when I just don’t like email myself. I believe email is powerful. When I with my clients, we build email lists. I know that email marketing is powerful as can be. I can tell you it’s something that’s on my list this year leading up to my book launch. But at the moment I’ve been very blessed to get a lot of inbound and a lot of traffic without the need for an email list. But I’m also one that when everyone’s zigging, I liked the zag. Everyone’s building an email list. I’m doing it a different way. When everyone jumped on a live video of a wagon, I decided to do a live video podcast. I like to follow the trends until I believe the trends are saturated. Then I like to take it to the other direction and jump where no one is. Kind of like LinkedIn. I’ve done well over 200 LinkedIn videos just in 2018 alone. The reason is because people haven’t figured out the power of LinkedIn yet. I’m going to continue doing that until everybody’s there. Then once everybody’s on LinkedIn using LinkedIn video, I’ll find another place where I can stand out. Because I don’t have an ego. I don’t need to stand out where everyone else is. I want to stand out where my audience can find me the most. Fantastic. Now, what would be the one main thing that you would choose, only one, what would you do to turn your social media followers into your fans? It’s amazing when you collaborate with somebody else and you both share value. The key to collaboration is that it has to be mutually beneficial. Both people have to find value in the collaboration. But that’s where I would start. I would collaborate with someone. What we’re doing right here is collaboration. You’re bringing me to your audience. I’m bringing you to my audience when I share out the episode of this show and this is an element of collaboration. We’re technically taking our two communities and there are some overlaps, we have some of the same followers, but there are so many new people that have never heard of me that listened to this are going to follow me. There are many people that I’ve never heard of you and are going to do that the same. That’s where I love collaboration. And it’s underutilized. YouTubers figured it out a long time ago. If you look at the great YouTubers they started collaborating with the same 20 people over and over again. All of those networks started getting huge and people couldn’t figure out why. It was because they shared each other’s audiences and kind of played off each other. One of my favorite collaborations that I ever saw was a Cox Business. The Internet company Cox. They collaborated with Casper Beds. It was a mattress company and an internet company. Not ones that you would think of, but they were like the pitch for the internet company is We Make Your Life Easier. The bed was, We Make Your Life Easier. They collaborated on content. I got to be one of the people that were part of that collaboration. I was amazed at all these people that were looking for more productive sleep were also some of the same people that were looking for more productive internet. That was kind of collaborations and overlap. That’s the magic weapon today. I mean if you’re just creating a bunch of contact and noise and you’re just following, you just want to build followers for no reason that’s hard. And it’s extremely hard today. It’s much harder in 2018 than it was in 2013, but I think that the secret, the magic weapon from me is collaboration. Fantastic, Bryan. Thank you so much. Please share with us how can we find more about you. All the stuff I said, one of the secrets is really being consistent. Consistency. It doesn’t matter what channel. Every single APP that is out there like Knock on Wood I’m iSocialFanz with a Z. The lower case I or iSocial and F-A-N-Z or zed at the end. I try to make it easy for everyone. My website is iSocialFanz as well. You can even search iSocialFanz in the podcasting apps and both of my podcast come up that way as well. Consistency is important. I preach it, I try to live it. Thanks so much for having me on and connect with me isocialfanz.com. Fantastic. Thank you so much, Brian.